If you feel anything like me, April has come and gone, and if you are even remotely involved with the online autism community, you are probably tired of “the argument.” There is one very hot topic that has ravaged through the autism community over the past few weeks leaving us all exhausted, exasperated and frustrated. And I’m not even talking about vaccines! Chances are, you already know what I’m about to mention, and as such, you know that I’m treading on thin ice here. This is an incredibly touchy subject for all of us, no matter where you stand, regarding what I call “The Greatly Hated Debate.” It is “Greatly Hated,” because we’ve all spent way too much time arguing and debating it. It is important to me, though, that I “go here”. The argument is the source of most of the conflict we encounter within our community. At the core of most of our most-heated and passionate debates is one simple, yet profound, question. Much like the autism itself, there appears to be a spectrum of opinion on this tender issue. 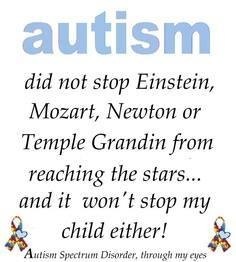 I will not pretend that I do not have an opinion in this matter: I am far too invested in my ASD child to be objective, no matter how hard I try. That being said, I will try in this post to be as objective as I can possibly be, and I will clearly state my perspectives for the readers’ benefit, so this post can be as fairly presented as possible. In the right corner we have those that feel autism is a disease, and we need to cure/prevent it… The data suggesting the numbers of diagnosed kids increasing is terrifying, thus we need to get a handle on this as soon as possible. Both sides of the argument are too complex to go into with any great detail here, but I’ll briefly describe both opinions. To make it very brief, one side of the argument feels that it is our job as our children’s advocates to do anything and everything for our children. As parents, it’s our duty to give our children the opportunity they deserve to have a “normal” or “neurotypical-like” life as much is possible. This side of the argument feels that it is irresponsible to rule out the possibility of a cure and irrational to say “my child is perfect just they way they are,” because nobody is perfect. In addition, since we do not REALLY know what causes one child to develop autism and the other 67 children to develop neurotypically, this group feels that it is almost arrogant of us to assume that there is no potential “cure” for ASD, and why wouldn’t we want to do as much for our children as we possibly could do? What is often misunderstood, is that both sides actually feels a strong desire to do anything and everything to help their children, however this belief is often presented in a different way. You say “Tomb-ato,” I say “Tam-ahto.” On the other side of the fence, are the parents who don’t view autism as a “disease,” and thus do not feel it’s prudent to spend money researching a “cure” for something that isn’t necessarily a “disease.” This side feels, instead, that money raised should be invested into families, so they can get their autistic child the evidence-based therapies they need, as many insurance companies do not cover ASD treatments, and can be extraordinarily expensive, usually around $60,000 (U.S. Dollars) per year, or higher. In the left we have the group that feels that autism is not a disease, and that funding and treatment should focus on correcting maladaptive behaviors and research should be focused on how to teach the autistic mind. 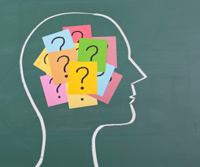 My (personal) perspective: I myself do subscribe to the second line of thinking (for the sake of the data I am collecting, I am being straightforward here). As an ICU nurse, I have seen diseases that have taken countless lives, and those that managed to survive have bodies that have physiologically been impacted by acute or chronic disease. By mere definition, I don’t particularly feel that ASD meets the criteria to be defined as a “disease” (and that is why it is currently labeled as a disorder according to the DSM V.). Like myself, many on this side of this debate cherish the belief that many of the greatest minds in history we now believe may have been Autistic. As a disorder, generally this side of the divide supports the idea that evidenced-based therapies and interventions can be extremely effective in treating any maladaptive symptoms of autism, replacing them with more adaptive and socially acceptable behaviors (that being said, I feel compelled to share that both sides seem to prefer evidence-based behavioral modification therapies, regardless of whether or not they are ‘holding out’ in hopes for a cure. There are treatment protocol outliers (as in anything) which I will discuss at length in future posts, but they are not particularly relevant to the topic at hand). 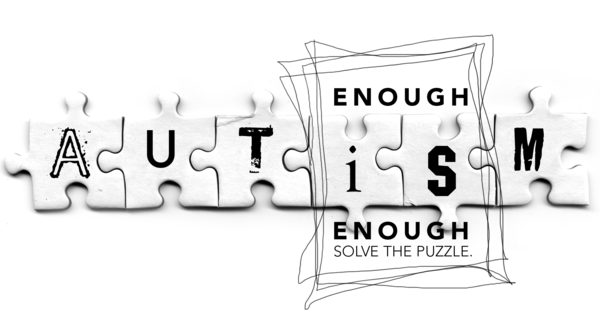 One of my major goals here in MyPuzzlingPiece is to help us bridge this gap amongst the ASD parenting community and to stop fighting about it. I would never ask anyone to change their opinions on the matter, as everyone is entitled to their thoughts and feelings on such a deeply personal matter. In fact, after spending hours discussing this with hundreds of both adult Autists and parents of ASD children online, I’ve come to see that both sides of this important divide have more in common than we realize. For the most part, a deeply rooted investment in evidence-based-research and therapies. A deep commitment to fighting for what’s best for our children. A secret fear, tucked in the back of our brains, that somehow we caused this: whether it was deciding to bottle feed, or taking the wrong pre-natal vitamin, or even genetics. Until causation is irrefutably determined, as parents we will always wonder (this is where the vaccine debate fits in). A deep love for our children that words cannot describe. Hopes and dreams for our childrens’ futures. Fears of the unknown future. Bad days and good days. Small victories that no “neurotypical” parent would ever really understand. Heartache that no “neurotypical” parent would ever understand. A desire for what is best for our children. My goal here at MyPuzzlingPiece is to bring us all together. We are on the same team and we need to remember this. It is with this goal that I am presenting to you a series of two polls. The more data these polls compile, the more secure we can feel in their results. As a community, instead of acknowledging what we all have in common, particularly our fears, we have been guilty, all too often, of attacking each other. How can we fight for our children, who are different, to be accepted amongst by their neurotypical peers, when we cannot accept each other, and we are fighting very similar battles? For every survey that is completed, I want to share my deepest thanks. 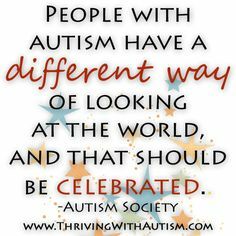 By sharing your thoughts, you are becoming part of the solution to this problem, and helping to build a better ASD support community. In future posts I will publish the information I gather, although I plan on leaving these surveys open for some time so I can gather as much data as possible. I sincerely hope to hear their voices in this survey loud and clear, because more than anything, their voices DO matter, in the same way that our children’s voices matter. Your information in this poll will be kept absolutely discreet, the polls do not require any of your own personal data, just a couple of “clicks.” I assure you that your insight will be invaluable to helping us move forward, together, for the betterment of our community as a whole, to the very best of my ability. ← A Different Kind of “Tired.” And an Aut-Nado. Thankyou for the time you’ve put into this!! I hope that as pendulums swing to extremes initially, this one will also tend to a middle road. It should be interesting! PleAse feel free to share the polls or reblog this. The more data we collect, the more likely we will get reliable data. Definitely, have tweeted both, but reblogging is a good idea. It’s my pleasure! 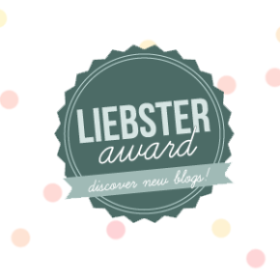 I love your blog and this autism blog community!!! Absolutely. And thankyou! 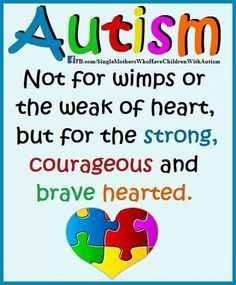 Yes, I’m new to the community here, but autism communities are wonderful to each other (in my experience). I will make sure I share the poll results with you for sure! But I’m going to leave them open for a while so we get a realistic reflection of this important issue! Polls for parents of autistic kids, and for adults on the spectrum – the more people who participate, the more valuable will be the results. Love your thoughts! I really like how you presented what the two “camps” have in common – we could do so much if we stopped arguing and started working together! Looking forward to reading more of your posts. (And thanks for visiting me over at my last post). It’s such a tricky topic, and I don’t know we can ever really close the gap, pers say, but I think if we were all honest we would know that the frustrations, sadness, and guilt we all fell on both sides fuel this ongoing, and heated debate. My hope is that we can find common ground and use our power to encourage organizations to invest donations where we, as a community, think they need to go. If you’d like to contribute to my” God,autism and me” site I’d love to have ya! Have a wonderful day! My son is PDD-NOS officially was HFA but that is not a diagnosis category. I love my son and he had no therapy since none were available. 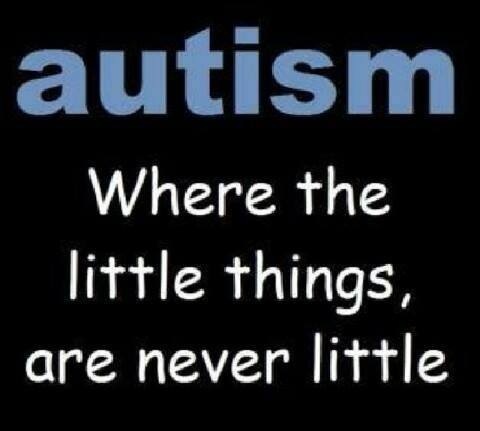 I did not cave in to the idea of letting him do whatever since he was autistic since we never knew till he was 12. Then when I read up on it. I had done everything I should have done. He works,drives has a social life and keeps busy. Verbal but with issues, will not marry or date. I woud go for a cure, just as I would treat my depression. Not to figure out what the cause or cure is would be negligent. Life is too precious to not allow everyone the chance to enjoy it. All aspects of it. He has so much potential but can not use it in the real world to make a better life for himself. It is not fair to not look for a cure or at east something that would help. I think there is a difference between seeking therapeutic options and a “cure.” We have no “cure” for depression, but we try to treat it as best we can. Did you fill out the survey for the parent? Your insight is very appreciated ❤ Thank you! Many parents feel the way that you do 🙂 ::Hugs!!!! :: Stay strong and stay Au-some!! !